First things first, what is a stop motion video. Visit me on Instagram to see some of my videos to get an idea of what I am talking about. Essentially stop motion is a series of still photos in which the objects are moved slightly in each shot. When put together the objects appear to be moving on their own. So why would you take the time to create a stop motion video? For starters, it’s fun and a great way to spice up your Instagram feed. If you are a blogger looking to monetize, stop motion is something brands are very interested in. Putting together a few videos is a great way to build up your profile and show brands what you can do. Let’s talk equipment and set up. There are 2 routes you can take. Phone and App. I like PicPac to create fun spur of the moment videos. Camera (I use and love my Sony Alpha) and Movie Maker or iMovie. (I am a PC user but I understand that iMovie is very similar). When I want quality lighting and effects I use this method. I also use the following. Before I start taking photos, I write notes and create a visual story board of what I want my finished product to look like. I note the shots I need to have and the overall message the video should send, then I refer to this while shooting. Once all my photos are taken I upload them into Movie Maker. This comes standard with Windows and is a great program, I use it for all my videos. If you want to use every shot you took just select everything and adjust the video speed to .25x (under the video tools tab). For more details on using Movie Maker take a look at this tutorial. Using Movie Maker I can also add a title or captions. I use YouTube to add music and I always save as an MP4 which is compatible with most social media networks. 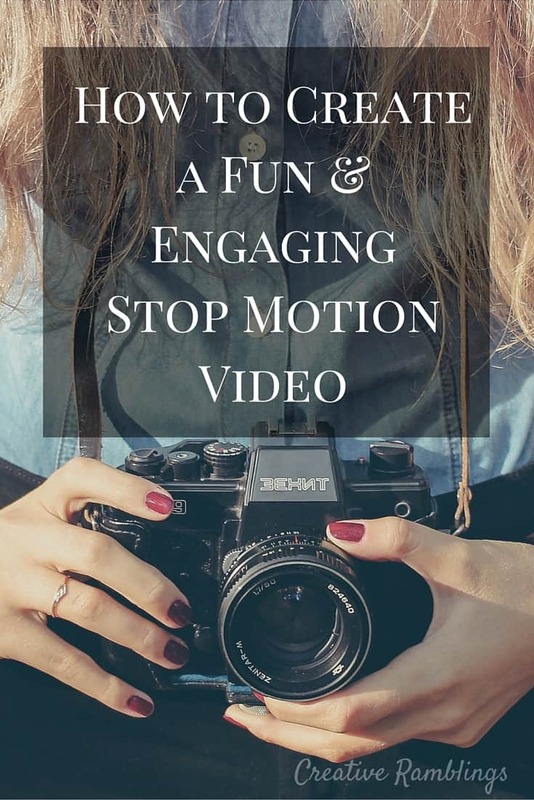 That’s it, just follow these simple steps to create a stop motion video. If you want more tips be sure to check out this detialed tutorial on how to create short and powerful videos with Movie Maker. I want to see your videos! Tell me where I can find you on social media so I can follow along.